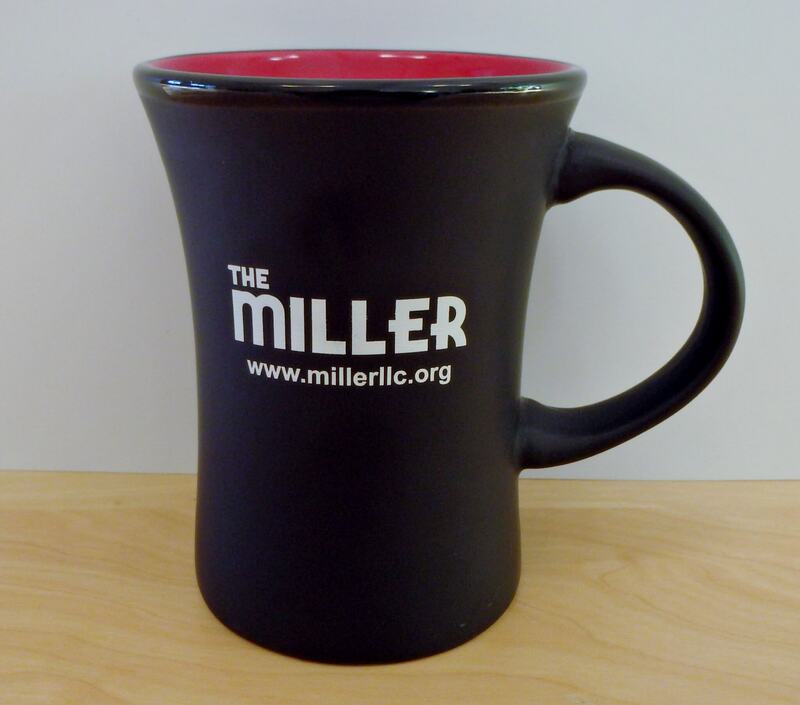 Product Details: Black handled mug with white logo and red interior. Matte exterior and glossy interior finish. 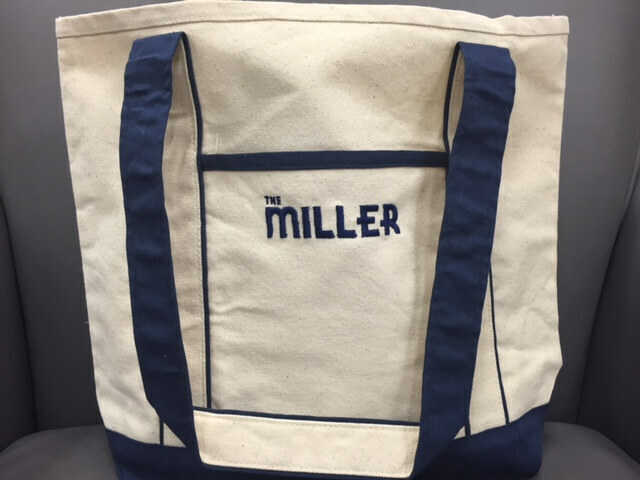 Measures 4.25"H x 4.5"W.
Product Details: Navy and cream “Top Sail Cotton Boat Tote” with an open main compartment, logoed front pocket, and drop handles. Measures 13″H x 15.25″W x 4.75″D with an additional 13" handle drop. 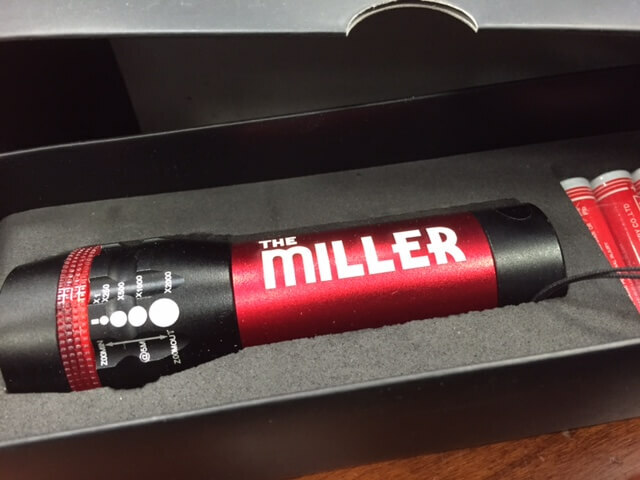 Product Details: Red and black flashlight with white logo. Item includes attached wrist strap and three AAA batteries. Flashlight possess zoom in/zoom out capabilities. Measures 1"H x 4.25"W.
Children's book written by Levi Hill and illustrated by Janie Hester. 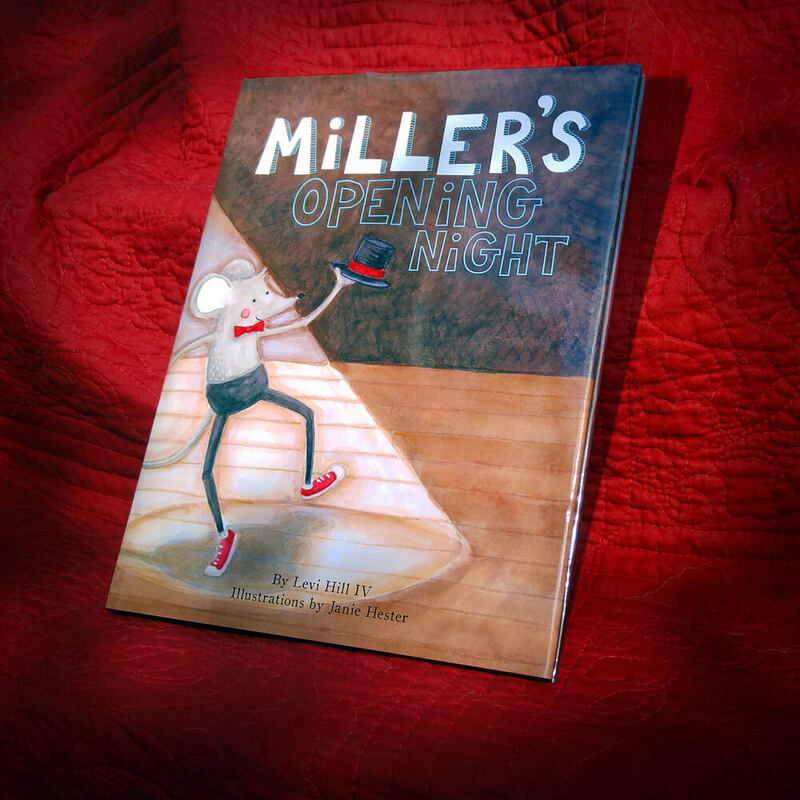 Product Details: Miller’s Opening Night is the story of a little mouse family who lives in an old abandoned theater in Augusta, Georgia. It’s a story of dreams, aspirations, and possibilities. Anyone — young or old — will relate to the characters in this tale. 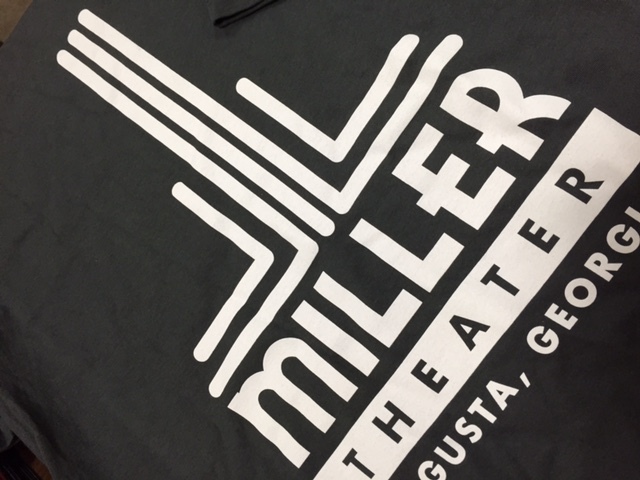 A most interesting feature of the book is that it’s based on a real-life campaign to reopen the beautiful, historic Miller Theater in Augusta, Georgia, closed since 1985. 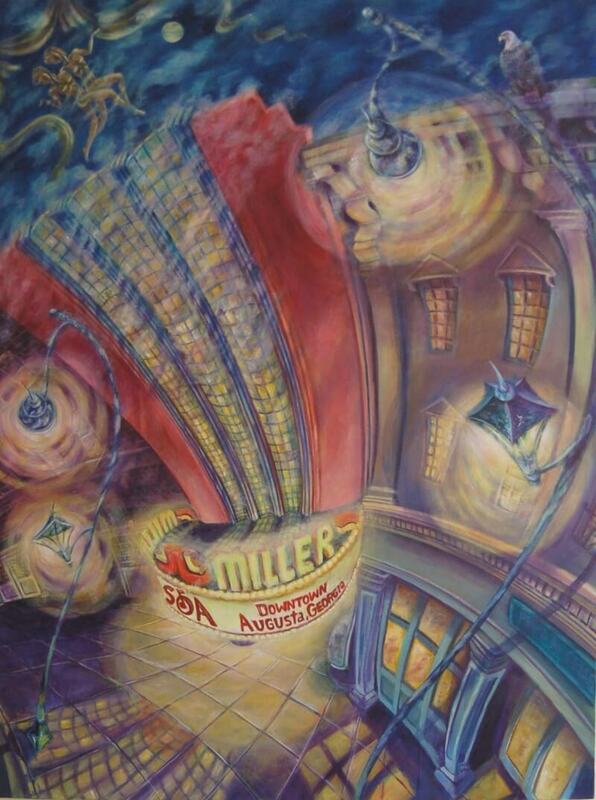 Product Details: Giclée poster print of painting by local artist Margaret Anne Smith. Available in three versions - unmatted, matted, and signed & matted. Unmatted version measures 15.75"H x 12"W and matted version measures 19.5"H x 15.75"W.
Product Details: Black 100% cotton ringspun t-shirt with white silkscreen logo. Available in six sizes - XS, S, M, L, XL, & 2XL.